The scientific maverick James Lovelock says climate catastrophe is not so certain as he previously suggested. Dr Lovelock, one of the world's leading environmental thinkers once warned climate change would reduce mankind to a few breeding pairs in the Arctic. On BBC Radio 4's The Life Scientific he gave credit to scientists who question the inevitability of conclusions from climate change computer models. But he maintained it was probably too late to stop climate change. He warned: "We are moving in a direction which won't do humanity any good at all if we just go on doing it." His double-edged message was that the planet would "heal itself" from an overdose of greenhouse gases - but probably over millions or tens of millions of years. The interview had the hallmarks of a brilliant, individual thinker who admits that he enjoys being provocative, and recaps several points that he made in an interview recently with MSNBC . It will be applauded by sceptics who argue that the certainties of climate science have been exaggerated. But it will infuriate mainstream climate scientists who have been striving to quantify those uncertainties. 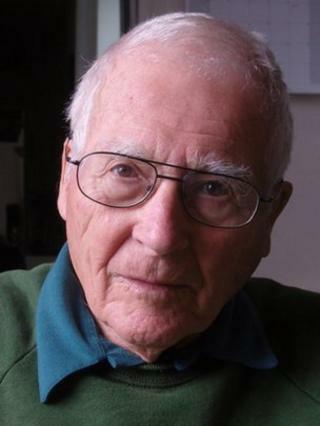 The Intergovernmental Panel on Climate Change (IPCC) reports specify ranges of uncertainty in their projections, and climate scientists point out that it is Dr Lovelock himself who helped to generate undue public concern over the inevitability of an imminent climate catastrophe with his 2006 book The Revenge of Gaia. Writing in the Independent in January 2006 , Dr Lovelock said: "Our planet has kept itself healthy and fit for life, just like an animal does, for most of the more than three billion years of its existence. "It was ill luck that we started polluting at a time when the sun is too hot for comfort… We are responsible and will suffer the consequences: as the century progresses, the temperature will rise 8 degrees centigrade in temperate regions and 5 degrees in the tropics." The BBC Today Programme convened a scientific panel in 2006 to review the book. The general conclusion was the Dr Lovelock had made an extreme case, although Prof Chris Rapley from UCL defended his stance. "The fact that you've been taking higher-end, pessimistic predictions of the IPCC is something that shouldn't be dismissed, even if there's only a 5% or even a 1% probability that they might be real," Prof Rapley said. "Would you get on an aeroplane if the pilot told you there was a 5% or a 1% probability that you wouldn't reach your destination?" Today Dr Lovelock implied that he had over-stated the certainty of catastrophe at the time. "There's a lot of climate change deniers who are not just paid servants of the oil industry as they're demonised as being - they're sensible scientists," he said. "There's no great certainty about what the future is going to be so legislation based on green pressure to say 'in 2050 the temperature will be so much' is not really very good science at all." This latter comment will annoy policymakers who have been trying to obtain international agreement on emissions cuts on the basis of computer models which are inherently uncertain but which almost all point towards the risk of dangerous climate change. One IPCC scientist, who said he didn't want to be drawn into a personal argument with Dr Lovelock, said: "Jim exaggerated the certainties of climate change before, which wasn't helpful then. His recent comments aren't helpful now. "They will be seized on by people who argue that science is too uncertain to inform policy - and that's absolutely not the case. He's blown too hot, now he's blowing too cold." Prof Hans von Storch of the Meteorological Institute at the University of Hamburg told BBC News: "Lovelock certainly exaggerated in 2006. It seems that the extreme position on both sides are losing ground, and that is good." But Dr Lovelocks's underlying message is potentially just as alarmist as before. When asked if the planet could heal itself from its current CO2 burden he said: "I think it will; it just doesn't have the same time constant as we do. "It thinks in terms of millions of years or even hundreds of millions of years. It doesn't respond like us. There was a natural event 55 million years ago when an accident caused the release of about the same amount of CO2 in the air that we have put in a short while. "And the temperatures really zoomed. There were crocodiles in the Arctic. God knows what the rest of the Earth was like. But in a hundred million years, it sank back to normal." Dr Lovelock is the creator of the Gaia hypothesis, which posits that the Earth is a self-regulating mechanism which until now has kept conditions ideal for life. This idea underpins the newly minted "Earth system science" and has taken on mystical overtones for some environmentalists. In his interview on The Life Scientific, he was asked if it was too late to stop climate change. He replied: "I think it probably is but I don't have evidence that would convince you." Over several years, the 92-year-old Dr Lovelock has raised the question of whether it is worthwhile attempting to cut greenhouse gas emissions. He told BBC Today Programme in 2010 that the idea of trying to save the planet "is a lot of nonsense". "We can't do it," he said at the time. "If it's going to be saved, it will save itself... The sensible thing to do is to enjoy life while you can." He has been at odds with the UK environment movement over his passion for nuclear power and avowed hatred for wind turbines in his beloved Devon. In The Life Scientific interview, he pointed out that no-one had died from the Fukushima disaster but that a large earthquake would topple wind turbines on to people's homes.